Jean Donovan was born in 1953, the younger of two children raised in Westport, Connecticut. Jean earned an MBA from Case Western Reserve University and then took a job as management consultant for an accounting firm in Cleveland. While volunteering with the Cleveland Diocese Youth Ministry, she heard about the Cleveland’s diocesan mission project in El Salvador and intuitively knew that it was something she wanted to be a part of. After a missionary training course at Maryknoll, Jean arrived in El Salvador in July 1979, a time when the repression was intensifying and the church had become a major target. She became a coordinator for the diocesan mission program in El Salvador and helped by distributing food for the poor and the refugees and by carrying out family education programs. As for the people of La Libertad, they loved Jean Donovan and dubbed her, “St. Jean the Playful.” Jean was devoted to supporting the efforts of Archbishop Romero, and after his assassination, she wrote to a friend in Connecticut: “Several times I have decided to leave El Salvador. I almost could, except for the children, the poor, bruised victims of this insanity. 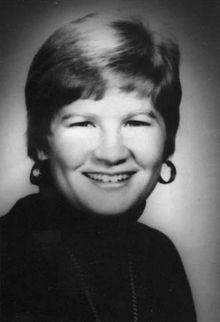 Who would care for them?” On December 2, 1980, Jean Donovan and Sisters Maura Clarke, Ita Ford, Dorothy Kazel were murdered at the same time by National Guardsmen in El Salvador. Their deaths became martyrdom for a church of the poor in El Salvador and inspiration for thousands of Christians in the United States.